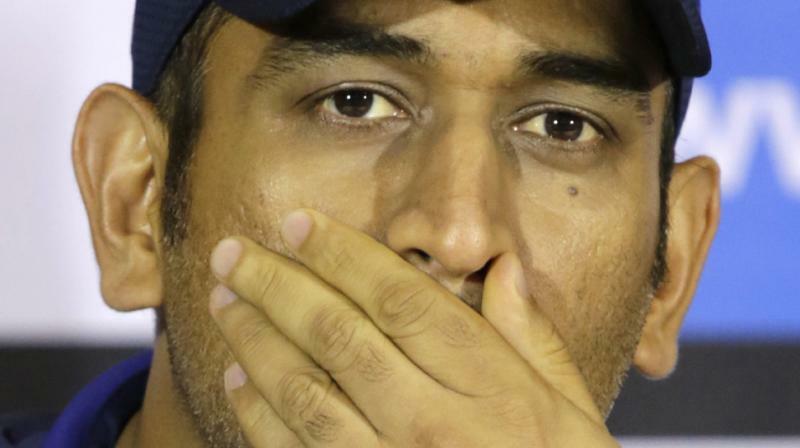 Indian captain Mahendra Singh Dhoni is not at all pleased with the use of some of the umpiring devices like ear-piece which he feels prevents the on-field official from hearing snicks and edges in a packed stadium. Bangladeshi umpire Sis Saikat failed to detect a nick from Khurram Manzoor's bat off Ashish Nehra's bowling and the Indian captain wasn’t happy about it. Asked about umpiring, a sarcastic Dhoni said, "You don't want me to get banned before World T20. You have all seen umpiring. It’s your call." 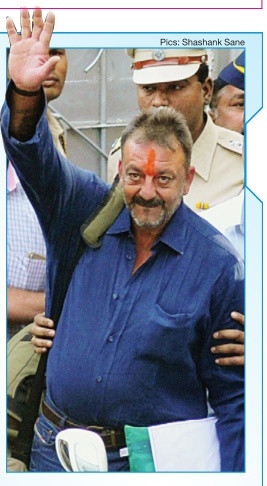 Sanjay Dutt is finally a free man as he was released from the Yerawada Central Jail, Pune on Thursday morning after serving a 42month prison-term. As he walked out with his bag, he was greeted by a crowd of people, besides the recognisable faces like wife Manyata Dutt and filmmaker Rajkumar Hirani .While the industry seems to be elated at the actor's release, a PIL has been filed in Bombay High Court by a social activist seeking a stay on Dutt's early release. 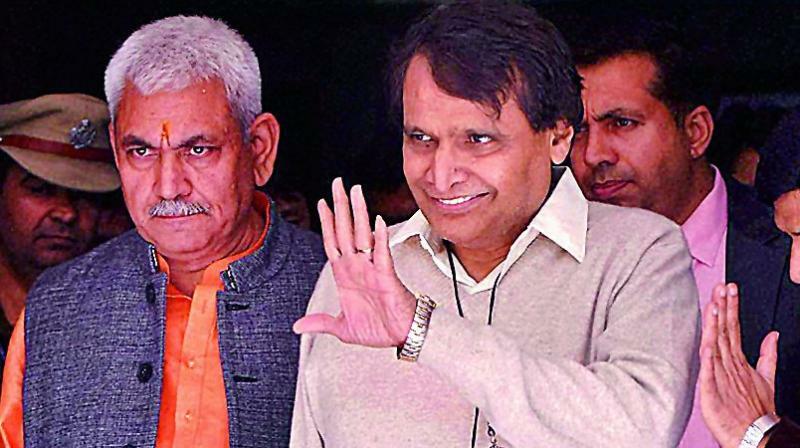 Breaking free from years of status quo, railway minister Suresh Prabhu on Thursday piloted Rail Budget 2016-17 on the course of change with promises of a financial turnaround, raising the speed of trains, a qualitative improvement in passenger amenities and reforms in the Railway Board’s functioning. 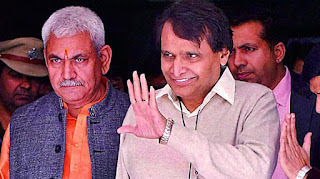 Not falling to the lure of increasing passenger fares and freight rates in a year when four states are heading for Assembly elections, Mr Prabhu promised a massive expansion of the rail network. At a time the Indian cricket establishment is witnessing unprecedented developments off field, the national team too is churning out staff one doesn’t come across every now and then. The transformation from nobody to top guns has happened over seven T20 matches, and probably for the first time, India look the strongest among favourites less than two weeks before a World Cup. Coinciding with such a rapid turnaround, and causing it to an extent, is the rise of Hardik Pandya. Six months ago, returns of 60 runs in three international innings and four wickets in seven matches would have meant nothing. But in a case of manner and impact scoring over traditional virtues like durability and performance over a longer period, the Baroda all-rounder with a cocky approach has emerged the bomber. In the midst of some accomplished stroke-makers, he can become the cutting edge teams aspire for, but few manage. 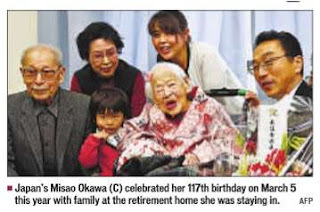 The world's oldest person, a Japanese woman, died on Wednesday, just a few weeks after celebrating her 117th birthday . 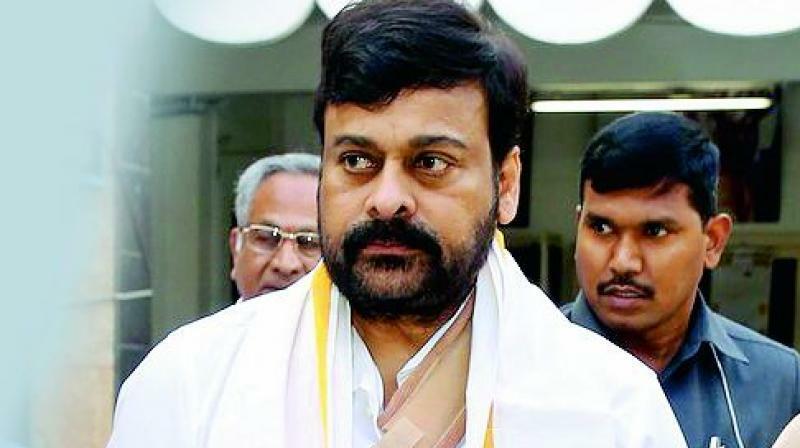 Actor-turned-politician Chiranjeevi has denied rumours that he is joining the BJP. There had been recent rumours that not only was he about to join the saffron party, but that he had also dropped his 151st film. On Wednesday, while attending an event at the Filmnagar temple, The Rajya Sabha MP said that these were baseless rumours. “I will remain in the Congress,” he said. 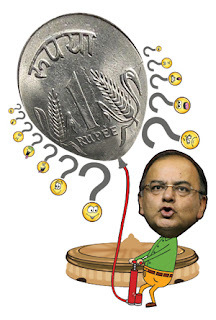 “There are reports on social media that I am close to the BJP and party leaders have approached me. No one has approached me and I haven’t given any thought to it. I will be in the Congress and my political career will end with the Congress,” said Chiranjeevi, adding that he spoke up as he wanted to put a stop to these rumours. 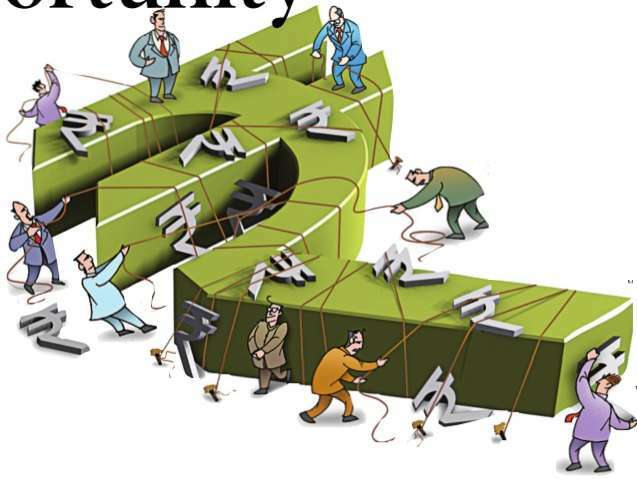 In one of the fieriest debates in the recent times, the issue of Rohit Vemula, Dalit scholar who committed suicide, and JNU episode rocked both the houses of the parliament as Opposition and the treasury benches traded charges. While, emotionally charged HRD minister Smriti Irani attacked opposition, particularly Congress vice president Rahul Gandhi, of politicising the death of a student and siding with those opposed to India, the united opposition pilloried the government for playing partisan politics. Congress, TMC, BJP, Left while denouncing anti-national slogans in JNU, they charged government was gunning against students opposed to their ideology. 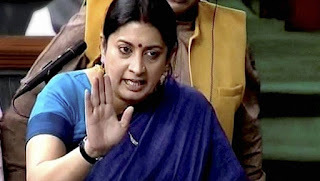 Aggressive Irani took on the united Opposition in Lok Sabha head on while speaking during the discussion, saying she would leave politics if anyone of the vice chancellors appointed were to suggest she was indulging in saffronisation. A 39-year-old terror suspect from Chanchalguda, who took refuge in Saudi Arabia for the past 13 years to evade police dragnet, was arrested by Telangana intelligence officials after he was deported to Hyderabad on Sunday. He reportedly sent four city youth to Pakistan for training and played a key role in the 2003 “Jihadi conspiracy'' case registered in Gujarat. After the Godhra riots, according to police sources, Adil Afrooz along with several others played a key role in “Jihadi or ISI Conspiracy''.Adil had reportedly facilitated Junaid Shareef, Wajid, Chotta Azad, Aijaz alias Mamu to reach Pakistan via Bangkok, the source said. In that case, Adil was declared accused No. 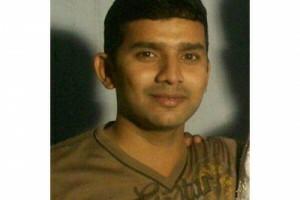 10 by the Special Investigation Team (SIT) of the Hyderabad police.The case is at trial stage in a local court. Fearing arrest by the Indi an security agencies, especially the Gujarat police as they had launched a massive crackdown, Afroz had fled to Saudi Arabia in 2003 and since then he was on the police radar. Superstar Rajinikanth has been admitted to a private hospital in Chennai after he complained a mild illness due to hectic schedule of shootings on Monday. 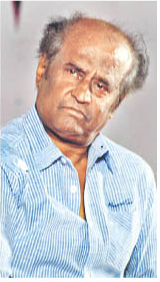 Accompanied by his daughter, Rajinikanth was rushed to MIOT hospital in Manappakam. 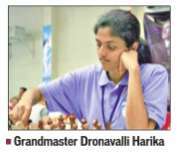 The doctors discharged him after conducting a routine health check-up on the same night. Doctors advised him to take complete rest for one week. The 65-year-old actor is busy with his hectic shooting schedule for the upcoming film Kabali in Malaysia. Rajinikanth joined the sets of director Shankar’s magnum opus Robo-2 recently. The fans of the Superstar are worried over his hospitalization, but they heaved a sigh of relief after his discharge from the hospital. 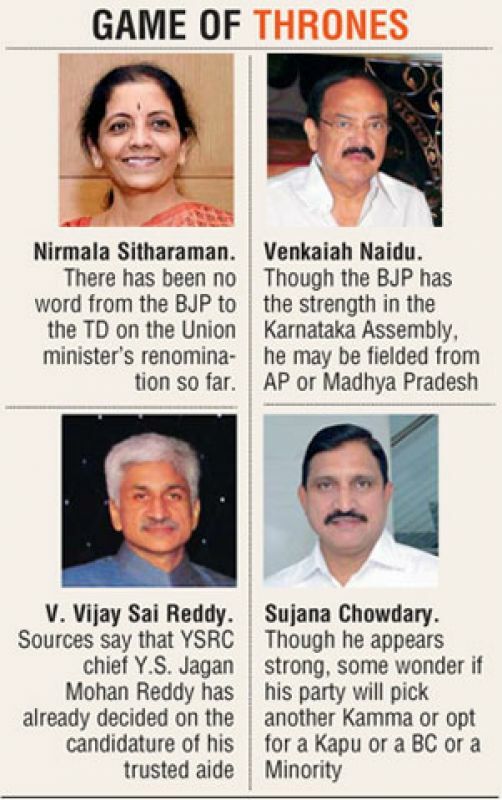 While it is still not clear when the Election Commission will hold the biennial polls for vacant Rajya Sabha seats in several states, including TS and AP, though Assembly elections are due in Tamil Nadu, Assam and Kerala from where the RS vacancies need to be filled. Past experience shows that the EC had held biennial polls for the RS seats ahead of Assembly polls as the elected MLAs are the voters for the Upper House of Parliament. While Tamil Nadu Assembly term ends May 22, RS members elected from the state are to retire on June 29. Similarly, Assam Assembly term ends by June 5, but the RS members will retire by April 9, while Kerala Assembly term ends by May 31 and the RS members from this state will retire by April 2. 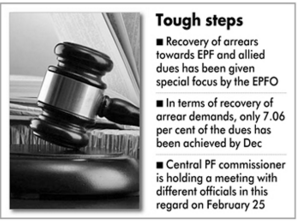 Biennial elections are due in 16 states where the term of RS members will be completed between April 2 and August 1. It's wedding bells for Gazala Shaikh as she will be tying the knot with actor-boyfriend Faisal Raza Khan, who was last seen in Gustakh Dil. Chilled potable water will be sold through kiosks, modelled on the lines of cash-dispensing automated teller machines (ATMs) of banks. For nearly a year now, director Puri Jagannadh has been promising the audience another film with his Pokiri and Businessman star Mahesh Babu. Asia's biggest tribal biennial fair ­ Sammakka-Saralamma Jatara will begin at Medaram village on Wednesday .The fair will conclude on February 20. The Single Screen Theatre Owners Association has come up with the demand to raise the price of tickets to Rs 100. There was jetlag from traveling 13 time zones and the brilliance of the world's brainiacs arrayed be fore her. Super skyscrapers, unS derwater cities and 3D printed homes will all be a reality in 100 years' time, according to a new report on life in the future. University of Hyderabad (UoH), once home to hundreds of spotted deer, the state animal of Telangana, is fast becoming a haven for poachers. When it comes to public engagements, Karnataka CM Siddaramaiah is not always a good timekeeper, given his hectic schedule. Samantha takes the Web by storm with her latest exercise video where she lifts a 100 kilos. The result of how a McDonald’s Happy Meal looks after six year will shock you. A five-year-old girl studying in UKG died in suspicious circumstances on Monday. 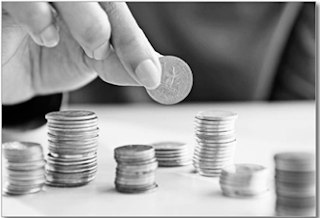 Tata Group has agreed to partner with Telangana government in implementing the state's flagship scheme of building free two bedroom houses for poor. The “special song“ Aatakundhoy Bellamkonda from Sreenivas's Speedunnodu is a testament for Tollywood's obsession for song and dance. Chiranjeevi’s younger daughter Srija is set to marry again and sources say the veteran actor is absolutely over the moon.